Idaho Kettlebell Strength and Conditioning 366 S. Eagle Rd. Right next to Albertsons. New Beginner Class! 7:30pm Tuesdays and Thursdays. "I work in notoriously dangerous conditions: 30ft seas, ice covered decks, 50+kt winds and more. Every day is an event. Jim has helped me get back in peak physical form, concentrating on quickness, conditioning, balance and functional muscle strength. Kettlebell training recruits stabilizer muscles I've never been able to target, making it uniquely suited to injury prevention, perfect for my job. Plus, my wife thinks I look great. 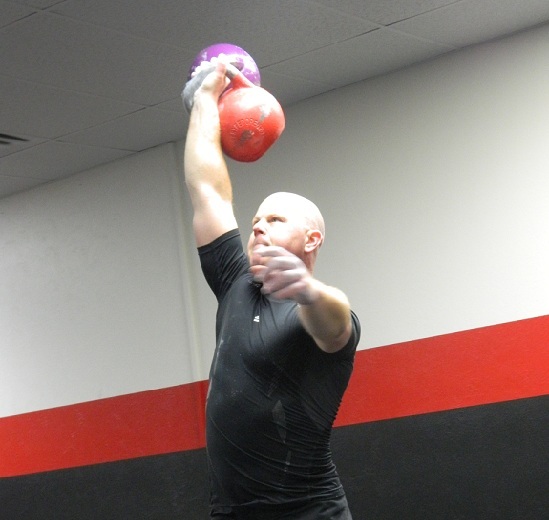 Idaho Kettlebells is a great workout facility and Jim is serious about the business of physical training. I'll be back after the season." "I have been coached by major league baseball players and highly credentialed strength and conditioning coaches in my college softball and fire fighting careers, and no one helped me reach my strength and body composition goals like Jim. I dropped almost 5% body fat lifting kettlebells and conditioning with Jim. I have never been able to experience strength gains and cut out body fat without my legs and glutes bulking up too much until I started the Idaho Kettlebell workouts. Jim understands the different demands placed on the body in both athletic and tactical movements and has helped me strengthen my shoulder tremendously. As a former Olympic Lifter and Power Lifter, I did not expect the results to be the same from kettlebells, but they were even better and healthier for my body. Working with Jim will give you better strength and power than Olympic lifting and will protect and strengthen your joints instead of beat them down. 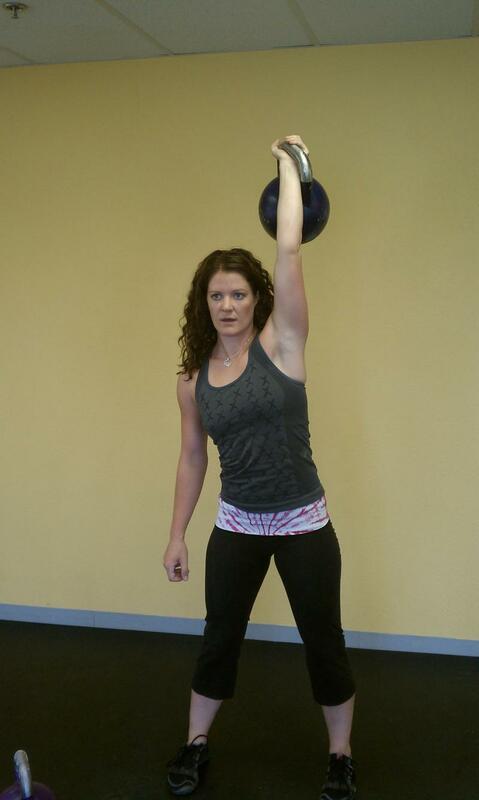 "I have been training at Idaho Kettlebells since October of 2009. On July 11, 2010 I performed 28 strict, deadhang pullups. My previous record of 25 was from 2003, when I was deployed in Kuwait in the U.S. Marines. The added grip strength from training with kettlebells has added to this!" - "Jake" (last name withheld): Former U.S. Marine and member of correctional facility tactical response team. "I have been training with Jim for about a month and a half. Not only is my cardio catching up with my strength, but my strength has jumped through the roof and I am now able to do pull-ups (4 in a row). July 1st my body fat was 24%. September 10th my body fat was 21% and in the last two weeks, my body fat has dropped to 17%. Kettlebells have put muscle on my body and dropped my body fat significantly. I love the challenge that kettlebells provide, not to mention the results. Jim is an excellent trainer, with a passion for kettlebells and guaranteed results. I recommend checking out one of his group classes. There are directions to his gym on his website. Thanks for all your help Jim!!!!" Jenny J. - NASM Certified Personal Trainer. "...A great thing about working with Jim is that besides really caring about the success of his clients, he seems to know their limits somehow. Whenever I said, "I can't" he knew that I could. And sure enough, every time I could! He never pushed me beyond my limits, but just far enough for me to feel like, "Wow, I did that! What an accomplishment!" He is an awesome trainer and just an all-around good guy." "As a martial arts instructor and practitioner I am always looking for ways to improve my strength and endurance, one of the main reasons why I started training with kettlebellls. I attended Jim Beaumont's Kettlebell workshop and he did an awesome job focusing on proper technique and safety. Just from the workshop I got a great work out and learned how to use kettlebells safely and effectively. I highly recommend Jim's kettlebell workshop to anyone! Great way to get in shape, lose weight, and become stronger!" Adam Miller - Tae Kwon Do 5th Dan black belt and Jiu jitsu purple belt.